The history of calendars spans several thousand years. 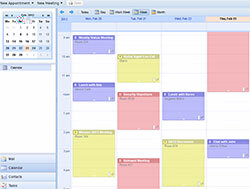 In many early civilizations, calendar systems were developed. For example, in Sumer, the birthplace of the modern sexagesimal system, there were 12 months of 29 or 30 days apiece. That is much like our modern Gregorian calendar. 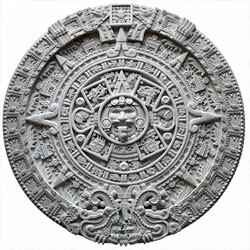 Mesoamerican cultures also developed their own intricate calendars; the ancient Maya had two separate years; Sacred Round (260 days) and the 365-day Vague Year, the latter of which is also similar to the modern-day Gregorian calendar. Calendars were also developed by the classic Greek and Roman cultures. Ancient Athenians, for one, had a lunisolar calendar that lasted 364 days, with an intercalary month added every other year. The Romans used two different year lengths; the older one had 304 days divided into 10 months; the newer 365 days divided into 12 months; very much like the modern calendar. They counted years from the founding of Rome, or, sometimes, from the reign of the current consul. During the early Middle Ages, various local calendars were used in Europe. The presently common Anno Domini system was developed in the 8th century, but the system only became common several centuries later, and even then, rival systems remained in use. Distinct from the rest of Europe, the Scandinavian Vikings maintained their own calendar during this time, which was divided into two seasons; summer and winter. A definition of the calendar day resembling the modern one was first stated in the latter part of the 13th century.